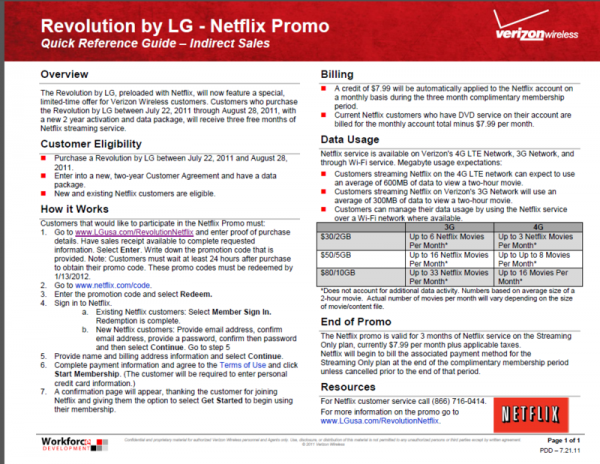 If you were looking for a reason to buy the LG Revolution, then maybe this newly announced Netflix promo will help. Starting today and ending on August 28, Verizon and Netflix have partnered up to give each newly purchased Revolution a 3-month free subscription to their streaming service. Current Netflix customers are also eligible for this promo. 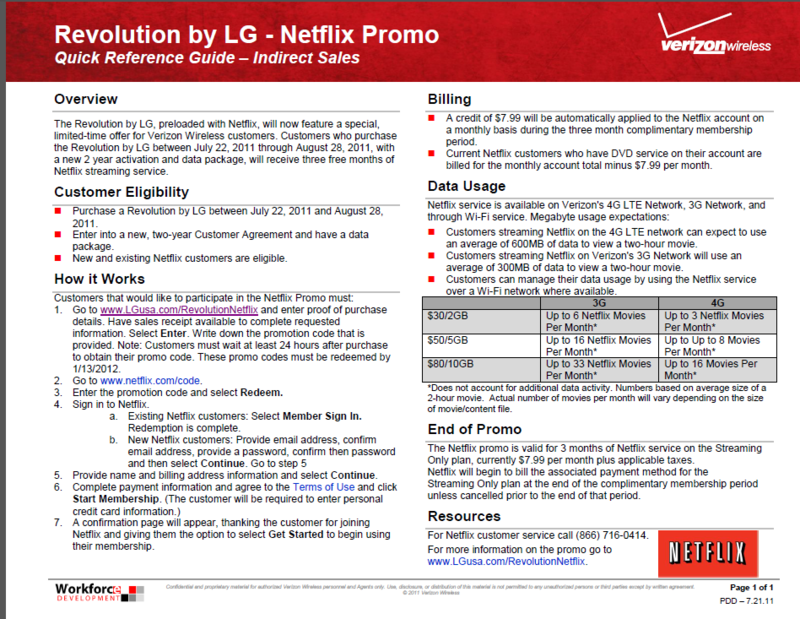 Beginning 7/22/2011 through 8/28/2011, customers who purchase the LG Revolution on a new two year contract will receive three free months of Netflix streaming service valued at $7.99/month. Not a bad deal, but I’m still not sure this is enough to make me lock into a 2-year contract for this phone when we know that the DROID Bionic is seemingly 2 weeks away. And we had to laugh at breakdown they provided of how many movies per month you can watch on their tiered data plans. We’re assuming that those numbers would mean how many movies you could watch if you didn’t use data on any other service like Gmail or internet. Damn tiers. Sort of sad that the day we get super fast internet with big screens and services that allow us to utilize them properly, is the same day that we get shot down into tiers so that we can no longer fully take advantage of them without breaking the bank.